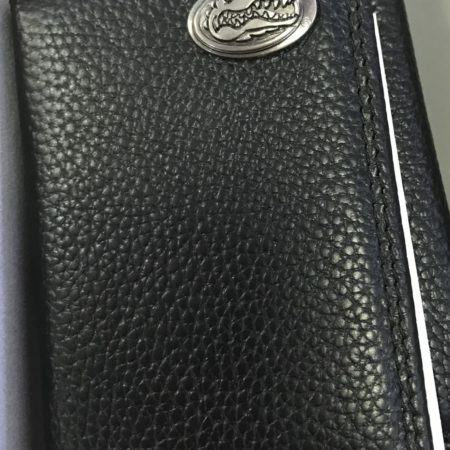 Small clutch with Gator logo on the front made by the Mainstreet collection. 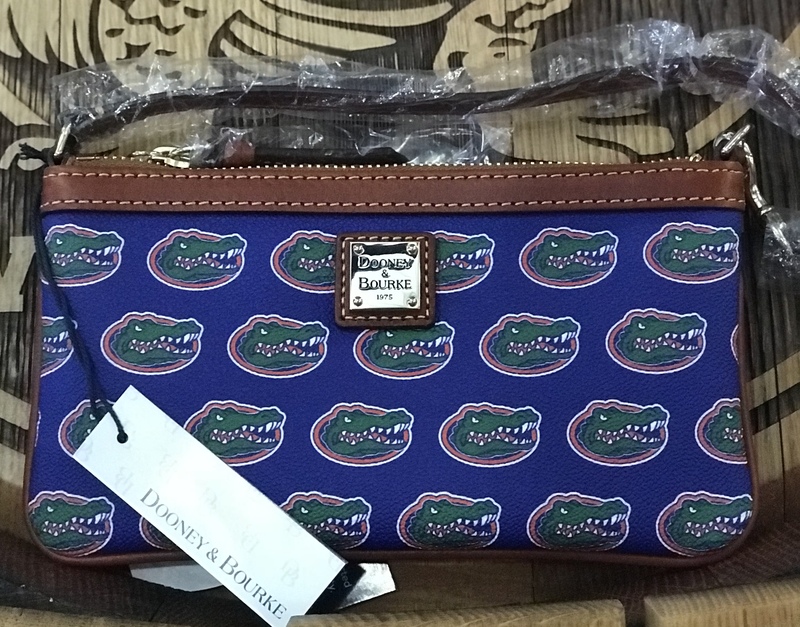 Small clutch with Gator logo on the front made by the Mainstreet collection. 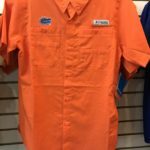 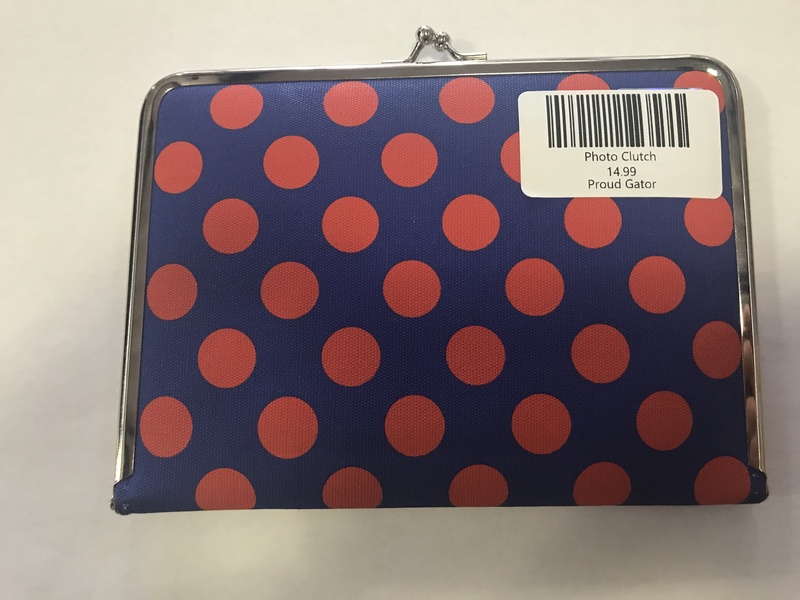 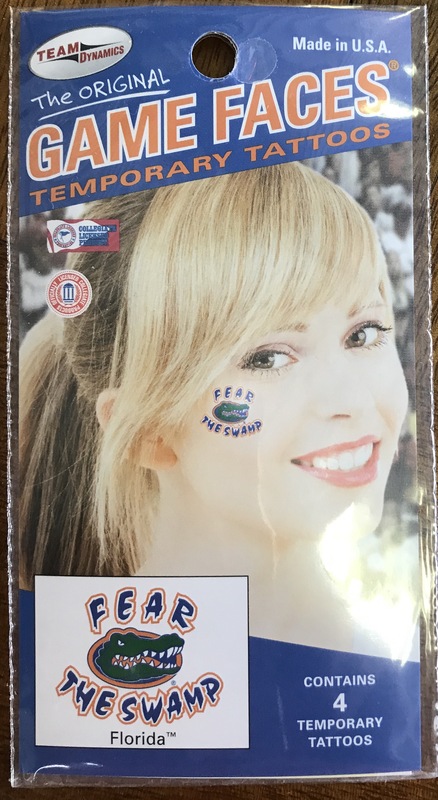 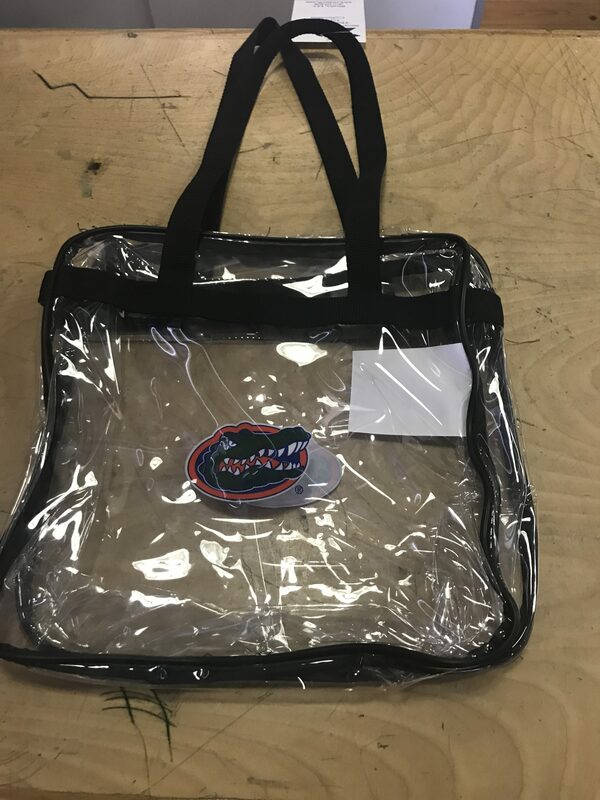 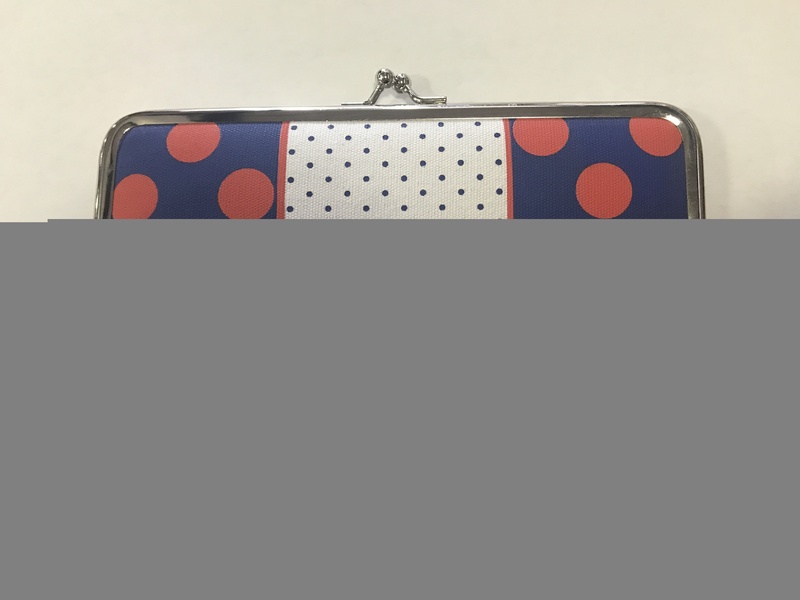 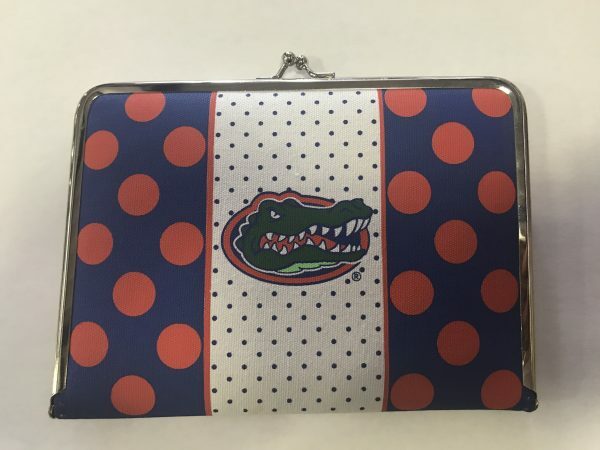 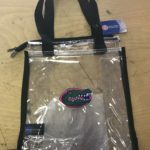 The clutch has orange dots on the front and back and the front also has the Gator head.